Last week, Frontier released the fifth Beta patch for Horizons 2.3, and in what has become predictable Frontier style, reverted key elements of the headline feature to ensure that it was neither fun nor worthwhile. I wish I could say that this was something I expected all along, but like thousands of other players, I unfortunately was duped once again by Frontier’s public statements during the initial MultiCrew livestream. Now I am forced to write the article I never wanted to write. What did Frontier do that catastrophically damaged MultiCrew so? Why is it such a big deal? To best answer these questions I think it’s important to first recall what we were told by Sandro Sammarco on the announcement livestream back on February 16. Essentially, what we were shown, with the reasoning that “we want multicrew to be fun and rewarding,” was that all players on the crew would receive the full amount of any bounty earned. To balance this, players would not progress in terms of their pilot’s federation rank, nor would they earn mission rewards or receive materials. The reasoning here was solid: the game is not, we’re told, about earning credits, and if playing multicrew is something players have to do instead of advancing in other ways, they won’t want to do it. Now the opposite seems to be the case. Players will, we’re told, earn rank (though this is not the case yet in the beta), but will earn money proportional to their pilot’s rank. Upon testing at the release of this patch, Diamond Frogs beta testers quickly determined that the entire crew—not just the gunner and fighter pilots, but even the helmsman—were earning 50% of the bounty the target was worth at the Elite and Deadly ranks, down to just under 3% of the target’s value at Harmless; a 100,000-credit bounty would pay 50,000 credits to an Elite pilot, and 3,000 credits to a Harmless commander, regardless of their role on the ship. Frontier quickly dialed back this insanity. This, Frontier said, was a mistake: the Helm would earn the full amount. The other values, 3% for a Harmless player, for example, were correct and would stay. Naturally, the official forums quickly responded. A petition was signed with over 1300 signatures asking for this change to be reverted. However, a handful (Diamond Frogs identified about 10) prolific forums posters took up for the change, arguing that playing multicrew (that is, a feature in the game) would allow new players to earn credits without playing the game. Somehow, players playing the game would be earning too much while playing the game, versus if they did something else in the game, like run repetitive and boring missions over and over. All this while insisting that the game is not about earning credits, and that credits do not matter! Let’s break these down. 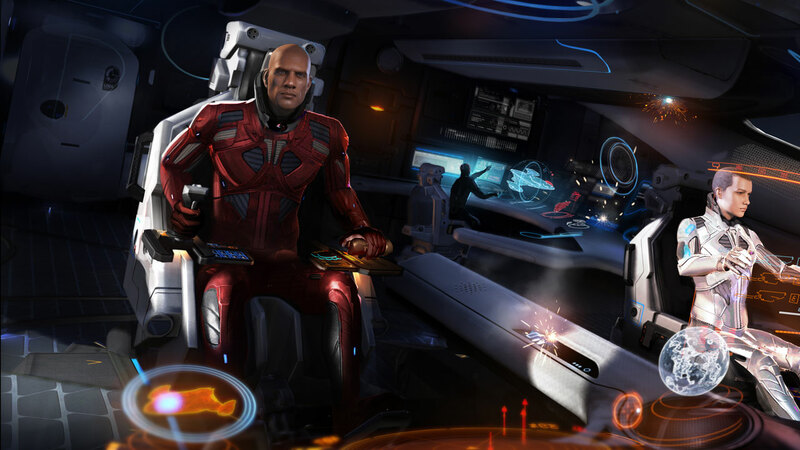 First, let’s talk about Elite: Dangerous’ economy: there is none. There is no inter-player economy. Players cannot directly exchange money, prices are not set relative to total wealth, and money is simply generated out of the ether by missions and bounties. All money flows from the simulation to the players, and never from players to other players. Therefore, there is zero way that players making money can, in any way, hurt the economy of the game. What these people mean when they say the “economy will be ruined,” is that they, personally, spent a long time getting space credits, and if other players make space credits without spending as much time, doing the same things, then they feel personally robbed. It is the psychology of realistic conflict theory divorced from any realistic conflict. The resources are not limited, but the achievement of having a lot of spacebucks is somehow diminished if other players have a lot of spacebucks. In short, it is a childish concern fueled by spite. The second is the more interesting criticism. I’m going to be direct: yes. That is why many of us are upset. See, a lot of players play Elite as essentially a single-player game. For them, the game is about making fat stacks of spacebucks on their own. 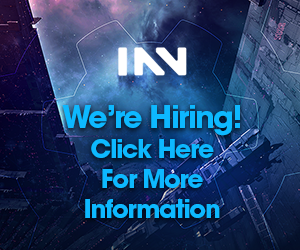 Many of the supporters of the change have said that this change, the reduction of rewards for participating in multicrew, is good because if new players can easily get money enough to afford a good ship, they will miss out on the thrilling experience of earning that ship through repetitive cash grinding in an objectively inferior ship. New players, they say, will be deprived of the experience of earning bigger ships, and so will not really get to enjoy Elite. That may well be true for the solo player for whom the game is a game of progression from a tiny ship to a big ship, and then, in the end-game, presumably about ensuring others have to progress in the same way while complaining on the forums and not logging into the client at all. However, that is not the only way players play Elite. As it turns out, for a lot of players that early grind, that early progression from a bad ship to a good ship, is actually just a barrier to the game they want to play, be it PvP combat, or working the background simulator with an organization, or racing, or exploration, or whatever the case may be. A player who buys Elite: Dangerous to play with the Diamond Frogs, for example, will be sorely disappointed when they find out that until they spend weeks, if not months, grinding their way into a better ship, they will not be able to help the cause. Instead, Diamond Frogs have to use workarounds like cargo drops, which the players have to scoop manually in their tiny sidewinder, to help them get enough money to afford a Cobra so they can play with us on the BGS, or a Vulture so they can survive in a conflict zone long enough to help the cause. For these players, and for the selfless assistants of the Diamond Frogs Hoppitality Corps, multicrew presented a promise of letting new players earn that money while also playing the game they want to play, getting a feel for combat, and learning more about the game’s various moving parts. Essentially, players could be mentored (the name of one of the roles for multicrew, mind) while earning their way into an effectual ship. With these new changes, however, there will never be a case where multicrew allows a player to advance in a meaningful way. It will always be more worthwhile for players to play alone, not with their friends, if their goal is to be effective. Multicrew, a feature designed to be, in the words of Sandro Sammarco, “about having fun with your friends,” is dead on arrival because a new player must now make a decision: do I want to get closer to the point where I can have fun by furthering my organization’s goals, or do I want to play multicrew and earn nothing? Furthermore, because multicrew ships do not affect the background simulator, players in these organizations have to make decisions with their time: do I want to have a guy tag along on my ship for no benefit and no return on my time investment, or do I want to play alone? Forcing players to make decisions where they choose between multiplayer fun or actually making any tangible benefits is not good game design, and is, in fact, the worst kind of simulation. It is akin to real life decisions we all must make: do I want to play Elite, or go to the pub? Do I want to do my job, or stay home? Most players are presumably already making this kind of decision when they choose to fire up a game: they are opting to have fun, versus any number of other, probably more conventionally productive, things they could be doing with their time. 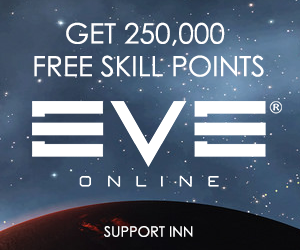 But if they choose to forego doing work in favor of playing Elite, they must further decide, grind in Elite, be forced to play the boring missions available to new players (no, friends, a sidewinder is not the same as an anaconda, and the missions you can do in one are limited to 10k a pop courier jobs) for hours and hours to earn a better ship someday, or try to get someone to host multicrew so they can earn nothing. It’s really not much of a decision at all, but the winning choice seems to be play something else. Play something else where you can earn something for your time spent, while, at the same time, actually having fun doing it. So it seems, unfortunately, that Frontier has not changed. I wrote some hopeful articles earlier about how Frontier seems to have finally gotten a clue, providing a way for players to both have fun and be rewarded, where Frontier is happy to sacrifice verisimilitude in favor of a rewarding and enjoyable experience, and now, it would seem, I must eat multi-crow. It’s not surprising: the same thing happened with Engineering special effects in 2.1, where originally there was a 90% chance of getting a special effect, which was dialed back to a 6% chance in the last beta update before being pushed to live. Frontier’s use of bait and switch is not novel. It is the same as the introduction of ship transfers in 2.2, where instant transfer was moved to taking literal, real world hours of waiting to move ships in addition to the large credit costs involved. And our only hope is that, like with engineering in 2.1, the feature as it is being released will be so odious, so senseless and unattractive, as to have to be revisited again in a few months. As it stands, the Diamond Frogs beta discussion Discord channel is talking about other games at the time of writing. The excitement is over, and Frontier managed to put it down not with a bang, but with a whisper. At least my low ranking means I only have to eat a fraction as much crow. Author’s Note: Since time of writing, Frontier has released a patch in Beta. Helm now receives full rewards, and combat rank advances for all participants. A shame that this happened to such a promising feature. I hope that the decisions here will be reversed, allowing players to progress and have fun in multicrew from day one. I like the multi-crow pun. Reading this made me check in on Star Citizen again, lol. At least Elite is playable. TL,DR: Frontier still doesn’t wants Elite:Dangerous to be anything like EVE Online, despite all efforts by EO players to show them the light. Well done Frontier on screwing up yet another thing that could have been amazing. Your utter inability to make good game design decisions for multiplayer continues to inspire. Gamers are awful and kill games. The only way to make Elite Dangerous interesting and worth playing is to sack Braben and his vision of the blandest dullest game in the history of our beloved digital medium of story telling and adventure and put someone better in charge of realizing a vision of space exploration and massive empire control. This is a guy that’s still stuck with the 90’s games mechanics and limitations. What on earth is the actual point of playing Elite Dangerous if not to earn credits in order to get a better ship so you can play with friends and meet potentially hostile players on line. Why would you play on line against potential hostiles when there is very little reason to do so given the risk? As dumb as Frontier’s multi crew decisions are, at least they finally did something nice for explorers and raised the payout for exploration. Now it’s only mediocre instead of painful! Progress. Hopefully in the future they’ll do the same for multi crew.